I've mentioned before how I wanted a new living room rug but my search hasn't been going very well for quite some time. 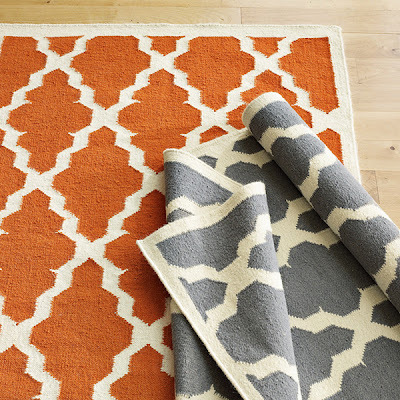 I'd find rugs I liked but they weren't offered in the size I needed or I'd find rugs that were available in the size I wanted but were way out of my price range. Also, I have three dogs that like to carry their food in their mouths from the kitchen into the living room where they proceed to drop it onto the rug to eat it there. If I close the door to the kitchen while they're eating, they stare at the door until it's opened again, refusing to eat. It's something I've learned to live with it but because of it, I need a rug that's durable and can stand up to constant vacuuming and cleaning. 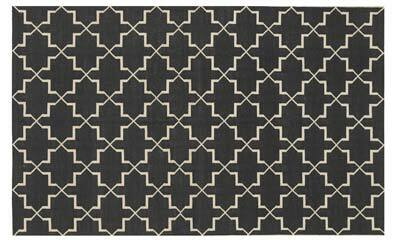 It's the modern trellis rug in charcoal from RugsUSA.com. It's made of 100% homespun, hand hooked wool and should be arriving in about a week or so. 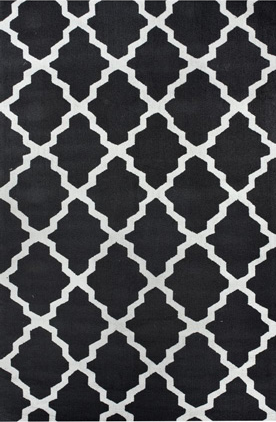 I purchased the 7' 6" x 9' 6" size (essentially an 8' x 10') at 40% off (using discount code WSCL40 - sale ends Monday 4/4) and got free shipping so the total price was $287.40 which is only $20 more than the regular, non-discount priced 5' x 8' rug!!! 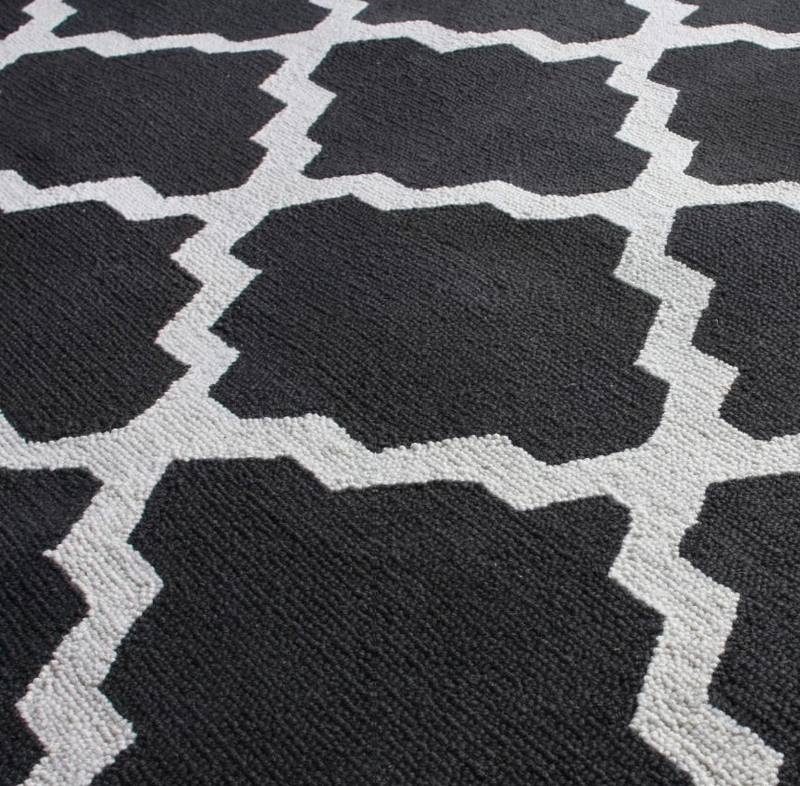 A 100% wool 8' x 10' rug for less than $300?! Unheard of!! !